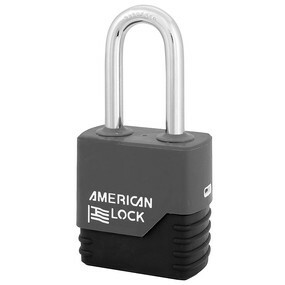 The American Lock No. A1266KABRNCOV Solid Aluminum padlock, Keyed Alike – multiple locks open with the same key – features a 1-3/4in (44mm) wide aluminum, brown body and a 2in (51mm) tall, 5/16in (8mm) diameter hardened boron alloy steel shackle for superior cut resistance. Weatherbuilt™ padlock protective cover prevents padlock malfunctions from dirt, debris, moisture and weather extremes. 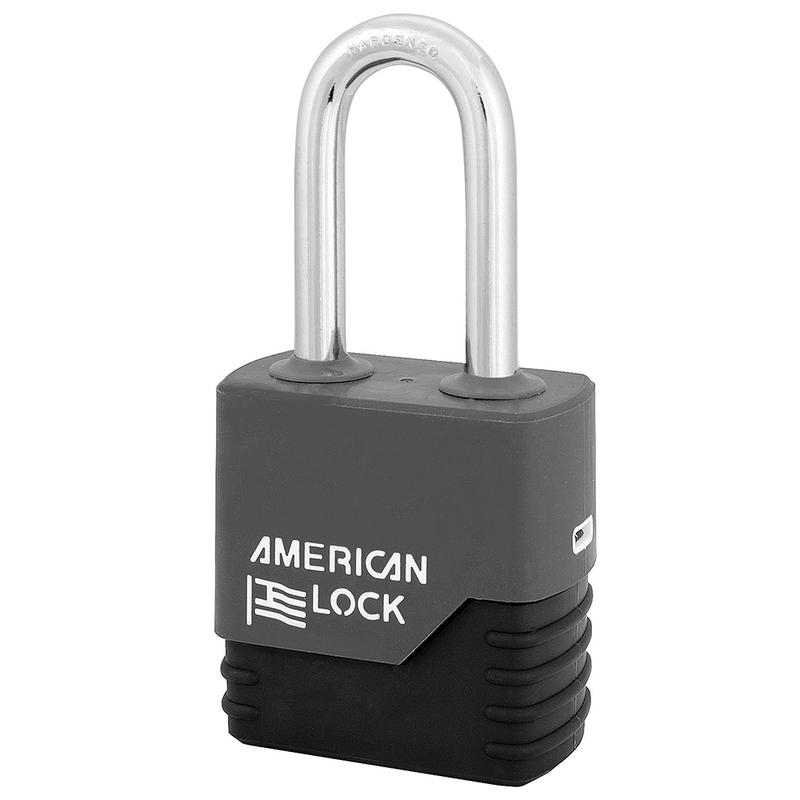 Dual ball bearing locking mechanism resists pulling and prying and 6-pin APTC14 rekeyable cylinder is pick resistant and has tens of thousands of key changes.